Painted on location in Grand Marais, Minnesota, this was the featured painting for one of our PBS television series “Painting and Travel”. 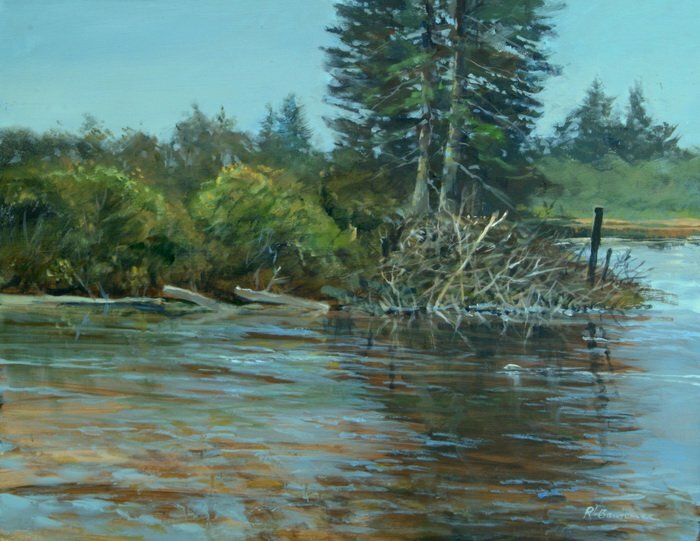 It was done early in the morning and while painting I saw the beaver swimming. The beaver, although small, is pictured in the painting. Can you find him?